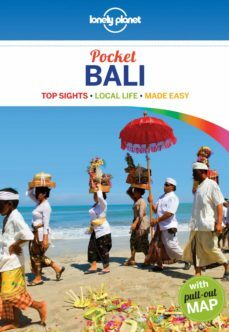 Get to the heart of the best of Bali and begin your journey now!Lonely Planet's Pocket Bali is your passport to the most relevant, up-to-date advice on what to see and skip, and what hidden discoveries await you. Laze away your days on a deserted beach, grab your surfboard to check out some of the world’s best surf or simply eat your way through dozens of warung; all with your trusted travel companion. Full-colour maps and images throughout.Highlights and itineraries help you tailor your trip to your personal needs and interests.Insider tips to save time and money and get around like a local.100% independent advice.Honest reviews for all budgets - eating, sleeping, sight-seeing, going out, shopping, hidden gems that most guidebooks miss.Coverage includes: Kuta and Legian, Seminyak, Kerobokan and Canggu, Jimbaran, Ulu Watu, Nusa Dua, Denpasar, Ubud, Gili Trawangan and more.